This thing called life just isn't always easy. Our journey can sometimes stir up the mud and take quite some time to settle back down. As the world-renowned Vietnamese monk Thich Nhat Hahn says “No mud, no lotus.” The lotus is one of the most beautiful flowers. It grows and rises from a muddy pond and its petals open one by one. But the lotus will only grow in the mud. It’s a beautiful symbol of our own awakening throughout our lives. In essence, it reminds us that in order to grow and gain wisdom, first we must get ourselves out of the mud --- the obstacles of life and its suffering. ... The mud speaks of the common ground that humans share, no matter what our stations in life. The Life Illuminated podcast is designed to engage you in inspiring conversations with others just like you who have experienced some of life's most challenging circumstances and travelled down the path toward reawakening to the life they always envisioned, toward living a life illuminated! 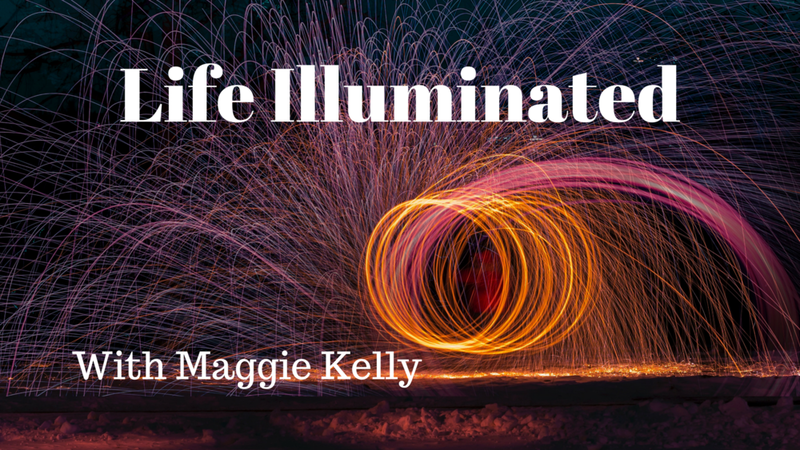 Join us for weekly episodes of the Life Illuminated podcast! We can be found in iTunes or on Google Play. If you think your journey will inspire our audience and would like to inspire others, please connect directly with Maggie for a brief chat to see if you are a good fit to be a guest on her show by clicking here.